The Wind Pool isn�t a recreation area embellished by artificial billowing air but an association established by the state Legislature that offers an important and sometimes difficult-to-purchase insurance option to property owners along the South Carolina coast. A similar entity in North Carolina is known as the Beach Plan. Your address determines your eligibility for Wind Pool coverage and whether you live in Zone 1, the original Wind Pool area, or Zone 2, the section farther from the ocean that gained coverage under the 2007 legislation. To find out if you are eligible to buy insurance from the Wind Pool, visit www.scwind.com and click on "Check Eligibility." "We�re that safety net for anyone who needs insurance and can�t get it elsewhere," Harrison says, pointing out that The Wind Pool currently shelters nearly 46,000 homes and businesses under its umbrella of protection. "We�re the first out of the box on this," she says, adding that other states are looking to South Carolina to see how the program is working. "No insurance companies have pulled out of the state. In fact, we�ve had 15 additional companies come in to write insurance." "If there�s a storm brewing in the Atlantic, the insurers won�t write a new policy," Roberson explains. The law offers an interesting option for homeowners who choose high deductibles for their homeowner�s insurance � a special savings account for emergencies. The money earns interest that is not subject to state income taxes while it is in the account or when it is used for qualified catastrophic expenses, those incurred through a major disaster declared by the governor to be an emergency. "First, shop around for your best coverage," Harrison says. 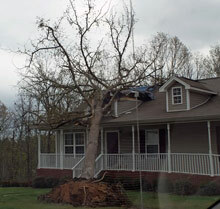 "Second, do what you can to protect your property so storm damage will be minimized." For example, you should bring your patio furniture inside when a storm is imminent, and you should keep your tree limbs trimmed so a fierce wind won�t turn them into dangerous projectiles. And don�t utilize gravel to landscape your yard or pave your driveway. "Those pieces of gravel are bullets that hit the house and the windows," Harrison says. North Carolinians who can�t buy property insurance anywhere else can turn to the N.C. Insurance Underwriting Association, known more commonly as The Beach Plan. Predating South Carolina�s Wind Pool by two years, The Beach Plan was created in 1969 to cover property on the barrier islands adjacent to the Atlantic Ocean. 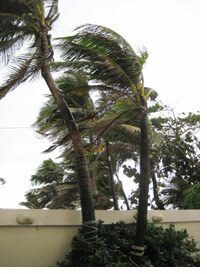 The General Assembly later expanded the plan, offering wind and hail coverage in all 18 coastal counties, effective July 1, 2003. 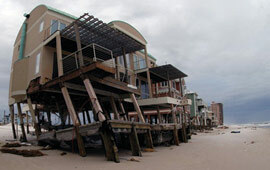 In July 2009, the House of Representatives voted to approve a measure designed to re-establish the Beach Plan as a market of last resort. If it is approved by the Senate and signed by the governor in its current form, the bill will cap at $1 billion the liability of private insurers for any shortfall in Beach Plan funds. Several companies had stopped writing homeowner�s policies in the state because they were subject to huge Beach Plan losses. The bill, HB 1305, authorizes insurers to add a fee of up to 10 percent � a so-called "catastrophic assessment recoupment" � if the Beach Plan incurs a deficit that exceeds their $1 billion responsibility. The assessments would kick in only if the Beach Plan surplus was exhausted after a major storm. As with South Carolina�s Wind Pool, property owners often can get broader coverage at a better price in the standard insurance market. "The comprehensive reform plan will allow the Beach Plan to get its financial house in order by requiring adequate rates, reducing policy limits and requiring the purchase of reinsurance � all before assessments can be levied on insurers," he says. "And, for the first time, limits will be put on assessments and policyholder surcharges will be allowed, thereby preserving insurer capacity to write business." "A stable, solvent Beach Plan with a balanced approach to sharing financial responsibility for paying claims following a hurricane is important to everyone. While this is not a perfect bill, we have a golden opportunity to make far-reaching, long-term changes to improve North Carolina�s coastal insurance market for property/casualty insurance companies and consumers throughout the state," she comments.